If you or your property is damaged by an uninsured driver or by a driver who cannot be traced such as a hit and run driver then you may still be able to make a compensation claim. Uninsured driver claims are claims for compensation when the driver who was a fault does not have insurance or is not covered by the insurance on the vehicle they were driving. This includes accidents involving stolen cars. If the driver does not produce insurance documents, our team can check whether he/she is insured by contacting the Motor Insurers’ Bureau (MIB). They will advise us as to the identity of the vehicle’s insurers and provide an address and policy number, so we can proceed with a claim. 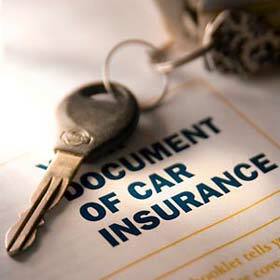 If the driver is not insured then compensation can be claimed from the MIB itself. Untraceable driver claims are claims where the driver who was at fault cannot be traced, these include hit and run accidents. If you can possibly get the registration number of the vehicle that caused the accident it will make you claim much more likely to succeed. If the police cannot trace the driver responsible for the injury or damage it may still be possible to make a claim. It is important to call us as soon as possible so we can help and advise you as this is not a simple situation. As with all personal injury compensation claims, you will need to prove that another person was responsible for your injury. Be sure you have a record of any witnesses including names, addresses and telephone numbers. Take photographs of the accident if possible and the accident location, showing different angles and views. If the third party driver has no valid insurance, leaves the scene or admits to driving a stolen vehicle, you should contact the Police immediately and report the incident. Always record at least the number plate of any vehicles involved. If you are intending to claim expenses such as prescription costs and travelling expenses, remember to keep receipts as evidence. Call us and speak to one of our experts. There will be no charge and we can advise you on whether you can make a personal injury claim. We can usually work on a ‘no win no fee’ basis so there are no up-front or hidden charges. We will make every effort to settle your claim quickly and in most cases you do not have to go to court. The process may seem complex but we will undertake all the hard work and keep you informed on the progress of your claim. For more information you may like to read our hit and run accident compensation case study. Compensation for client injured by fall into utility company excavation in pavement. Error: Error validating access token: Session has expired on Saturday, 09-Mar-19 13:12:58 PST. The current time is Thursday, 25-Apr-19 05:52:42 PDT.